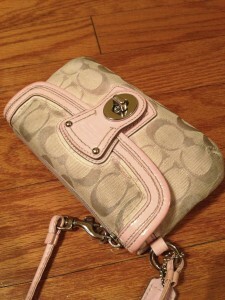 I have a friend who loves to spoil me with Coach purses. Are you thinking who is this friend and how do I get me one? Sorry, but she’s mine. The good news is she’s not rich; she’s just discovered the joy of Coach outlet stores. I have since experienced this joy, and let me tell you, it’s awesome! Not only are the items already marked down, but then they’ll usually have a sale going on plus a coupon they hand you at the door– that’s right, triple discounts! This means you can get a high quality purse for the same price as the one that will last you a year at best. Now onto my love of clutches. So I’ve always enjoyed the clutches she would get me, but they became even more useful when I became a mom. I find a clutch allows me to easily transition from one thing to the next. I use it as a wallet of sorts, keeping all my essentials in it. For me this includes my driver’s license, credit cards, insurance cards, library card, cash, work badge, eye glass cleaner, and Chapstick. There’s also a pocket that I can easily slip my phone into. So here’s how I use it… I have a large purse that I keep the non-essential but nice to have items in. I use that purse for work and general out and about, and I can just throw my clutch, phone and keys in, and I’m good to go. Sometimes (i.e. when we go to church) I need to bring our diaper bag, but I don’t want to also carry a purse, so I just throw the clutch in the diaper bag. I can throw it in the stroller, throw it in a smaller more fun purse when I go out with my hubs, or I can just use the clutch by itself when I want to go light (i.e. running into a store). And no, I’m not actually throwing it… it just seems like the right word to express the ease of it. Anyway, if you haven’t figured it out by now, it’s basically the perfect versatile accessory. I used to operate on a style before comfort philosophy for shoes. Then I got pregnant. By the end of the pregnancy I lived in my flats during the week and flip flops on the weekends. When I’m not in the third trimester of pregnancy I like to wear heels to work and for special occasions, but I have now made friends with flats. Especially if I’m going to be chasing my toddler around, heels are just not worth it. These days it’s all about comfortable and practical fashion. My mom got me these for my birthday. Aren’t they nice? I don’t know if it’s just me, but I’ve had to do a lot more spot cleaning of clothes since my life was blessed with two boys. I would spend an absurd amount of time scrubbing clothes only to have them not come clean, so that’s when I decided I needed a good spot cleaner. I read through a lot of reviews and finally decided on Caldrea. So far I’m pretty pleased with it. 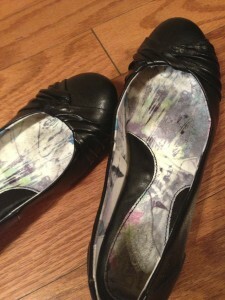 I’d say it’s taking out about 90% of the stains, and I’m not even scrubbing anymore. If a stain doesn’t come out in the wash, I just put this on it, return it to the laundry basket, and most of the time it will come out the next time I wash the item. This makes me very happy because it saves me so much time and hassle! A cup? Really Jennifer? Yes, really. I drink a lot of water while pregnant; I drink a lot of water while nursing, and I just generally drink a lot of water. I find that drinking it in the right cup makes it taste better (I know that sounds wacko, but it’s true), and then I know that’s my water cup, so I don’t go through a ridiculous amount of regular cups (too many dishes!). My cup of choice is a Yeti cup that my husband got me for Valentine’s Day. Yeti is the brand of cooler that my husband loves, and I was in love with the free cup he got when he ordered the cooler because it kept drinks so cold, so he got me one of my very own. 🙂 The company that makes it is actually Tervis, so you don’t have to get one that says Yeti on it. Even if you’re not a water drinker you will love this cup. Soda with ice tastes awesome in it (your ice doesn’t melt right away). I don’t drink coffee, but my husband is a coffee lover, and he likes to use his Yeti cup for coffee because it keeps it nice and warm. If you’ve ever watched What Not to Wear, they talk about a “5 minute face,” which translates to a way to do makeup in only five minutes so that even busy moms can wear it. While I was home on maternity leave I stopped wearing makeup and just threw my hair up everyday for a while, but then I read this post from Dwija, and I realized that I needed to make more of an effort. So I created my own five minute face, and one of my favorites became my lip gloss. I’ve been a long time fan of Clinique’s lip glosses, but my current color of choice is Playful Plump (style: Full Potential Lips Plump and Shine) because it gives my lips just a hint of color while still being subtle. When I’m spending the day taking care of kids and the house, a really bold lipstick just doesn’t seem appropriate. However, I will put this lip gloss on over a more bold colored lipstick when a dressier occasion presents itself. Once again, versatile! And lip glosses feel so good on your lips! Regular lipsticks just don’t work for me… too drying. Are there any key mommy essentials I’m missing? I’m always open to ideas. For more favorites, head over to Moxie Wife. Five Favorites (Vol. 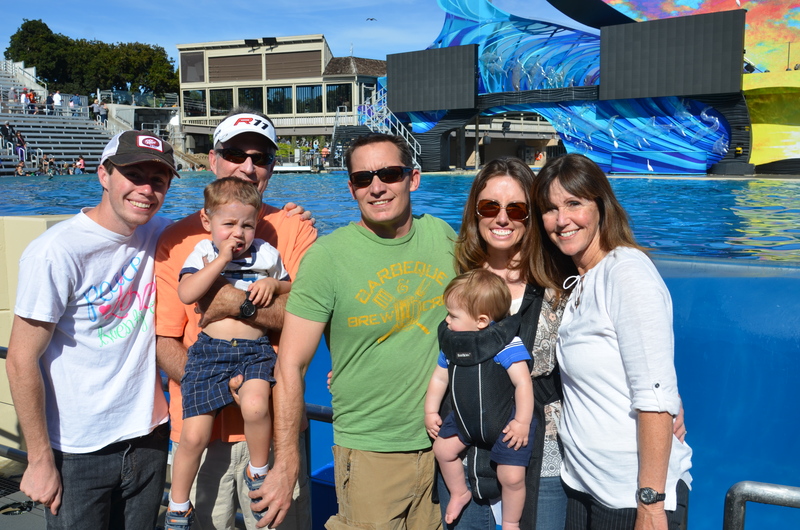 2): Our Sea World trip Jenn’s Tips (Vol. 2): My favorite workout videos for moms and moms-to-be Jenn’s Tips (Vol. 6): Clothing a family on a budget From Sales Manager to Laundry Lady? This entry was posted in Five Favorites and tagged cleaning, Clinique, clutch, laundry, mommy essentials by Jennifer @ Little Silly Goose.Bookmark the permalink. Oh, I need that spot cleaner! I've been out for a long time and the kids' clothes (oh who am I kidding: mine, too) are starting to show a lot of stains. Thanks for the tip! 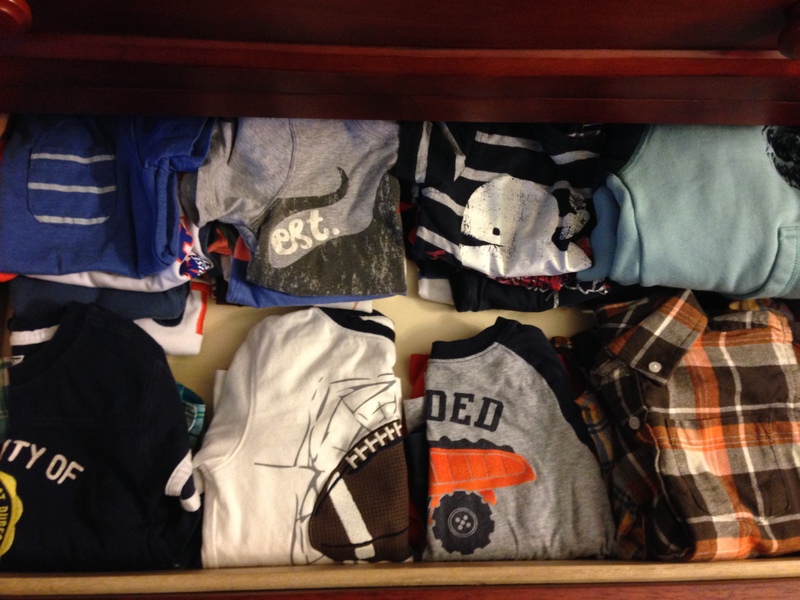 Micaela @ California recently posted…Travel Parenting: How DO you do it, Micaela? Haha. No problem. I hope it works well for you too. I have totally joined the comfort+style bandwagon after pregnancy. And high five on the lipgloss. Great tip on the spotcleaner – will definitely have to check that out! Thanks! Haha. Glad I'm not the only one. It's amazing how becoming a mom changes your perspective. Thanks for stopping by!